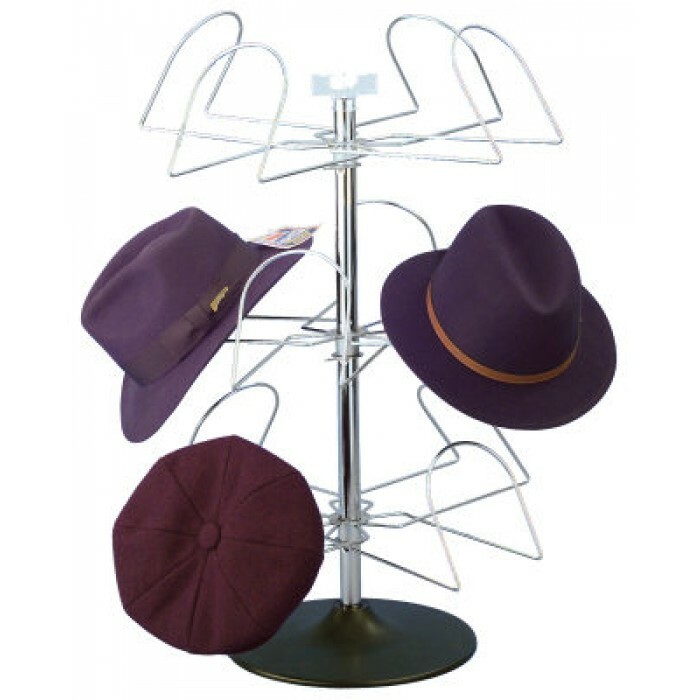 Both men's hats and caps get their moment in the spotlight on this sturdy, handsome counter rack. Three rotating tiers hold 12 hats or caps. Attractive silver finish. Sign holder included. Dimensions: 29"H, 21" Spinning Diameter.